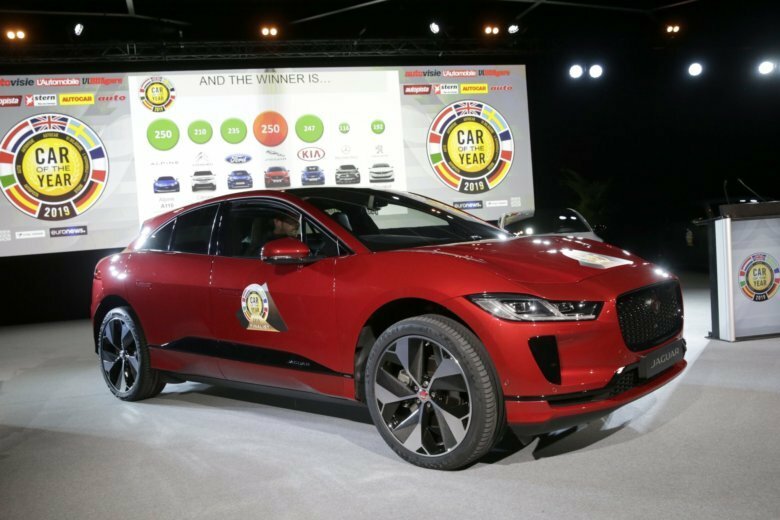 GENEVA (AP) — The electric Jaguar I-Pace won the Car of the Year award in Europe on Monday, the first time the storied British brand has been bestowed the prize just as Brexit looms over the continent’s auto industry. The small SUV with coupe lines edged out the Alpine A110 sports car, which is not a mass production vehicle, after they tied for top honors in a first round of voting by dozens of automotive journalists. The Jaguar won a runoff. Jaguar design director Ian Callum said the automaker, now owned by India’s Tata Motors, sees electric as the future. He touted the new platform for the I-Pace and said the car showed how Jaguar can innovate. The award established in 1964 marks the unofficial start of the Geneva auto show. The prize, which can propel sales, is organized by seven European magazines and awarded by 60 journalists from nearly two dozen countries.